HOW CAN YOU REDUCE YOU FUEL BILL? 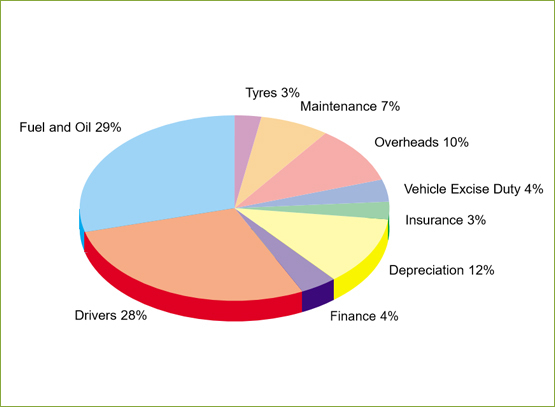 The Myanmar Tracker™ telematics platform helps you reduce fuel costs in numerous ways. Virtual lock for your fuel tank. In order to understand the benefits of reducing fuel costs it is firstly helpful to understand your fleet operational costs. As an industry norm, fuel accounts for 30% of a fleets operational costs and in most cases is the largest operational cost. Fleet managers find it challenging to reduce this cost as there are numerous factors that contribute to fuel usage – hard breaking, sudden acceleration, speeding and fuel theft to mention a few. Many fleet managers view reducing these costs comparable to weight loss – a tangible yet challenging value to get your arm around. The MTS telematics technology empowers fleet operators by providing them with hard actionable data. This in turn enables them to monitor and infuse good driving practices reducing fuel consumption; making your fleet LEANER and GREENER fleet!